In recent times Britain as a whole can't get enough of programmes like The Great British Bake-off and The Fabulous Baker Boys, but Scotland has always had a wonderful tradition of baking in both sweet and savoury recipes. 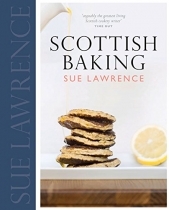 Leading cookery writer Sue Lawrence has now combined her two passions, for baking and Scottish cooking, into one definitive book. 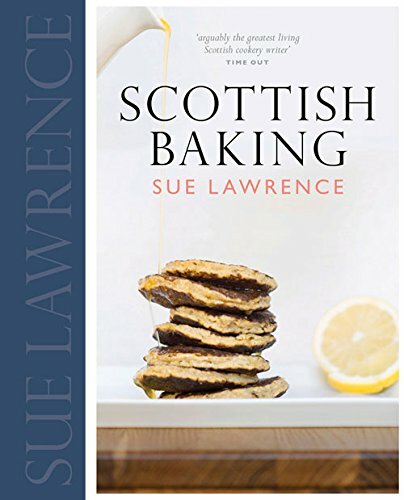 A compendium of 70 easy-to-follow recipes, it brings together the traditional breads, scones and cakes that have shaped Scotland's great baking heritage and new contemporary bakes like Sticky Toffee Apple Cake and Coconut Cherry Chocolate Traybake. Cooks everywhere will want to try these delicious recipes from Scotland. This is a book that will reach out to anyone who loves to dabble with flour, sugar, butter - and a griddle!